Plastic jewel case, player booklet, and disk are in LIKE-NEW CONDITION. 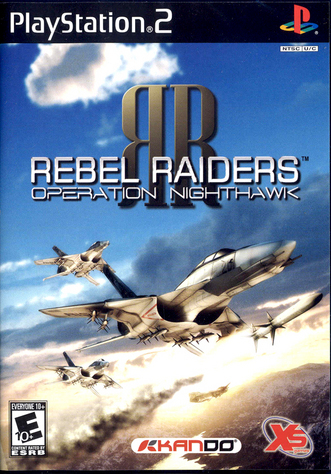 Rebel Raiders: Operation Nighthawk is an arcade style air combat, set in a futuristic universe. The game is designed to quickly immerse players in scenarios of non stop combat. Pilot a wide variety of aircraft and earn points for a chance to fly top secret planes equipped with devastating weapons. Your missions will all be unique and challenging so you'll need the right stuff to be a true Rebel Raider.